Do Your Boss a Favor, Take a Disconnected Vacation: 6 Techniques to Make it Happen! Summer is synonymous with V-A-C-A-T-I-O-N, but according to Project: Time Off’s latest State of American Vacation 2018, the American workforce gave up 705 million vacation days last year alone. This translates to $62B in lost income and benefits. Another way to look at it, according to a CNN article, workers donated $561 in “free” work to their employer by not using their vacation time. When was the last time you went on vacation—and totally disconnected? Many employees mistakenly believe that taking time off will jeopardize their opportunity to be promoted or get a raise. Not true! According to one study, individuals who take fewer than 10 of their vacation days per year had a 34.6% likelihood of receiving a raise or bonus in a three-year period of time. People who took more than 10 of their vacation days had a 65.4% chance of receiving a raise or bonus. Research has also shown that taking vacations has numerous brain-enhancing 1. benefits, especially if you’re traveling to a different environment. A vacation is not only good for your well-being, it’s good for your productivity at work, too. Several studies have uncovered that employee performance actually increases when they come back from a vacation, as the time away allows them to release built up stress and replenish their mind. However, considering 84% of U.S. executives cancel vacations in order to work, and 41% of employees are checking in to work while they’re away, it’s important to commit to disconnecting during your time off and ensure you reap the maximum benefits of your work holiday. 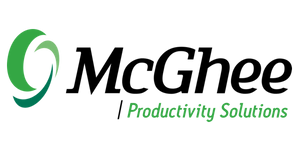 With our 24/7 technology access to work problems and communications, it can be challenging to relax and disconnect from work, however, the McGhee Productivity Solutions’ team, recommend these 6 techniques to help ensure can fully disconnect and enjoy a change of pace. Get it On Your Calendar! – If it’s not on your calendar, it’s not important and doesn’t happen. This is a key focus of the MPS Take Back Your Life!® program. Put the dates of your vacation on your calendar as soon as set and put in a request to your supervisor. The Power of Vacation Planning report, managers are near universal (91%) in saying they want to approve vacation requests, but 43% say they are sometimes unable to because their employees did not provide enough notice. Advise Team Members of Your Intentions to Be Gone & Disconnected – Preparing the environment for change, is part of our coaching tactics for leaders. No difference here! Giving advance notice via email and reminding verbally when appropriate, will allow direct reports and cross functional team members to address any needs they may have prior to your absence, or plan for alternative solutions to cover work issues during your time off. Also, don’t make a grandiose statement as you leave for your much-needed time off by announcing, “if you need anything, call me”. Calendar any Unfinished Work – Schedule any tasks or projects you’re unable to finish before vacation on your calendar for when you return. (Remember—if it’s not on the calendar, it doesn’t happen?) Having the task scheduled will take it off your to-do list, alleviating some of the stress and pressure it may cause. Turn On your Out of Office (OOF) Notification – This notification system will send an automated response to everyone who emails you during the time period you’re gone, directing them towards the best person to contact in your absence. Do not include your mobile number in your message to call—because somebody will. The goal is to disconnect! Leave your Laptop at Home – This may sound intimidating, but it is the most efficient way to ensure you stay disconnected while on vacation. If there’s a work-emergency you’ll still have your phone with you, so someone will be able to reach you if needed. Turn Off your Phone’s Email Notifications – If your phone (which you do need to take on your trip for security and GPS purposes) is constantly notifying you each time you get an email, you’ll be tempted and/or guilted into responding. By turning your notifications off, you’re minimizing the interruptions and allowing yourself to focus on the current priority: enjoying your time off! Having a healthy work-life balance includes being able to refresh and enjoy your time away from the office and reconnect with family and friends. If these steps sound unachievable to you, or if you feel as if you may need some coaching to address overwhelm and time management more effectively, contact us today to learn more about our Executive Quick Start 1:1 Take Back Your Life!® Coaching .